Carol Cheng, the founder of Hong Consulting Limited, is an experienced business consultant who specialises in advising companies to do business and invest in China and Chinese companies to invest in overseas markets. Carol has over 15 years of accounting, auditing and advisory experience in New Zealand, Hong Kong and China. She has focused on cross border advisory work covering China strategy, China market entry, China business compliance and due diligence for mergers and acquisitions since 2007. Prior to founding Hong Consulting in May 2015, Carol held a couple of leadership roles in China and New Zealand including a partner of Grant Thornton China who was in charge of international transaction services in Beijing office and an Executive Director of the China Market Practice of PwC in New Zealand. Carol worked with more than 100 foreign companies in China. She led teams to complete many financial due diligence and advisory projects in China and New Zealand. One of her large cross border transactions included winning the due diligence and financial advisor role to advise a Chinese buyer for a US deal of USD1.8 billion. Carol has professional experience in a wide range of industries such as retailing, manufacturing, pharmaceutical, trading and services, real estate, freight forwarding and technology etc. Carol has accumulated significant experience in advising clients to cope with cross border issues and challenges to bridge the business and culture gaps. She is passionate in sharing her professional experience to help foreign businesses to grow in China and Chinese businesses to invest in overseas markets. Carol speaks fluent English and Mandarin. Carol is a member of Chartered Accountants Australia and New Zealand. 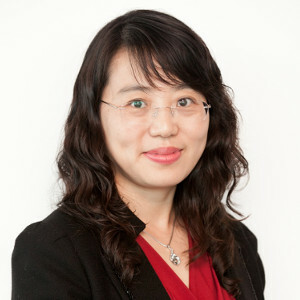 She is an Executive Board Member of New Zealand China Trade Association.